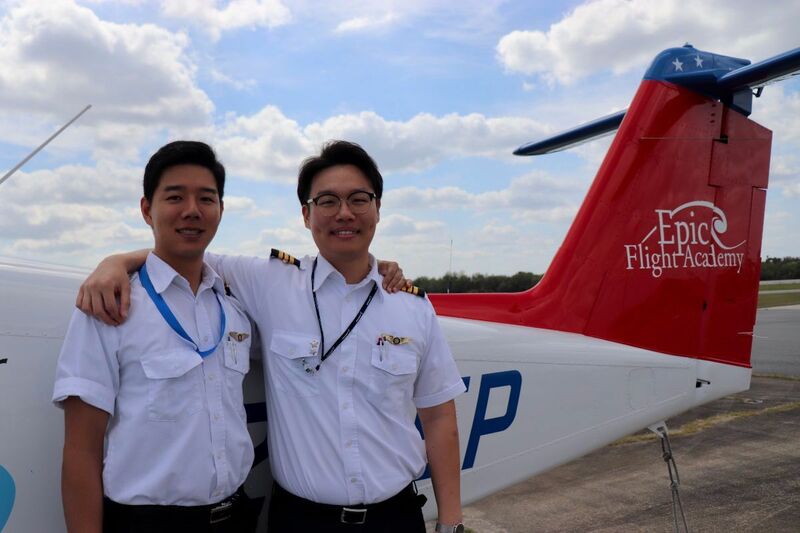 Catch up on the latest happenings at Epic Flight Academy! That’s great advice! Flying backseat gives you the opportunity to listen in and observe flight training at no additional cost, practice listening to the radio, and experience a completely unique perspective on what’s happening in the cockpit. We are proud of our students who take the initiative to work together toward common goals! 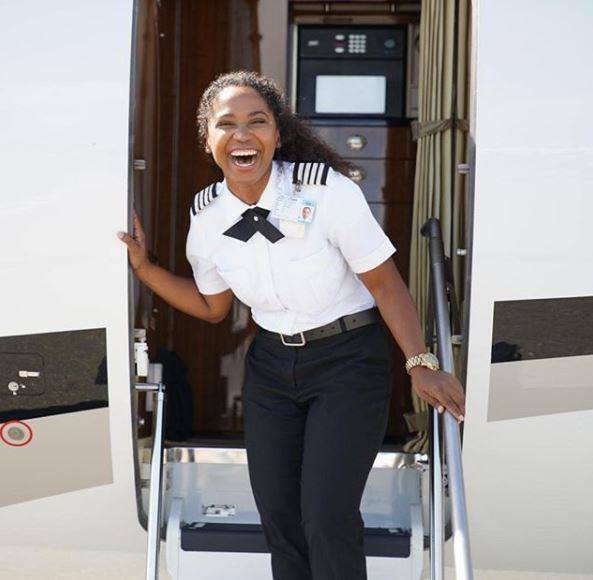 Did you know that the median airline pilot salary in 2018 was $130,059? Learn more about airline pilot salaries! We invite you to join our Epic Flight Academy online FORUM to discuss pilot topics, ask questions, and get to know each other. The forum a great place to start your pilot career! We were thrilled to hear from Epic graduate Jamal Pratt recently. He sent this message, which we are proud to share: “Thank you for the opportunity to live out my dream. I was a member of Epic in 2016-2017. 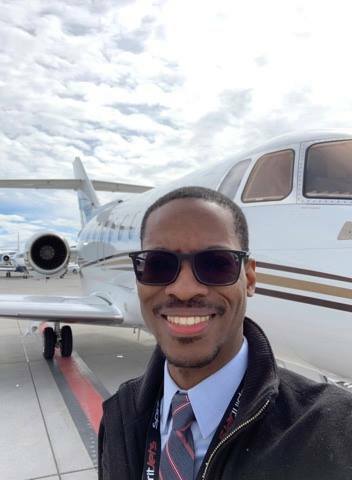 I’m now a corporate pilot at SpiritJets flying the Hawker.” Way to go, Jamal! We are so proud of you and all of your accomplishments. Keep living the dream! 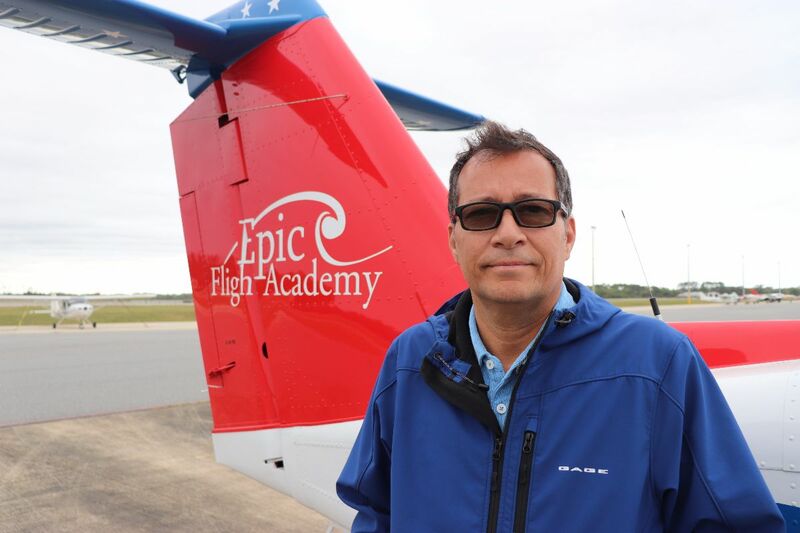 Epic graduate Marco Brito completed his pilot training at Epic in May 2015. From there he went on to become an amazing flight instructor for us here at Epic. We just learned that Marco now flies with Republic Airways. We love sharing the news of our amazing graduates like Marco and wish him many years of continued success! Tae Hyun Hwang graduated from Epic in July 2015. 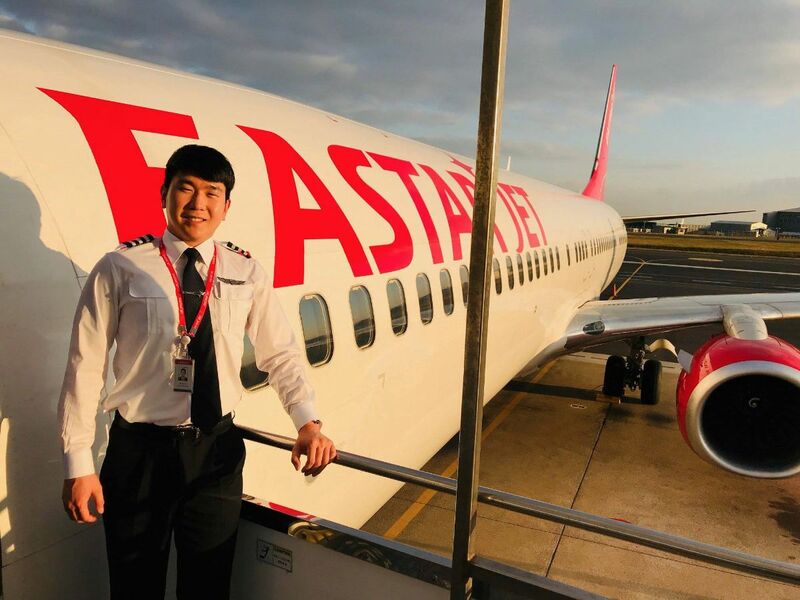 Tae Hyun is from Korea and is now flying B737NG, MAX-8 with Eastar Jet. We were so happy to hear from him and not at all surprised to learn of his career achievements. Great Epic students make great airline pilots! Here’s a breaking news story from an Epic graduate that you just don’t hear every day! On March 28, 2019, Diego Bertocchi flew the inaugural flight of the newly remodeled Boeing 767 of the LATAM Airlines fleet. 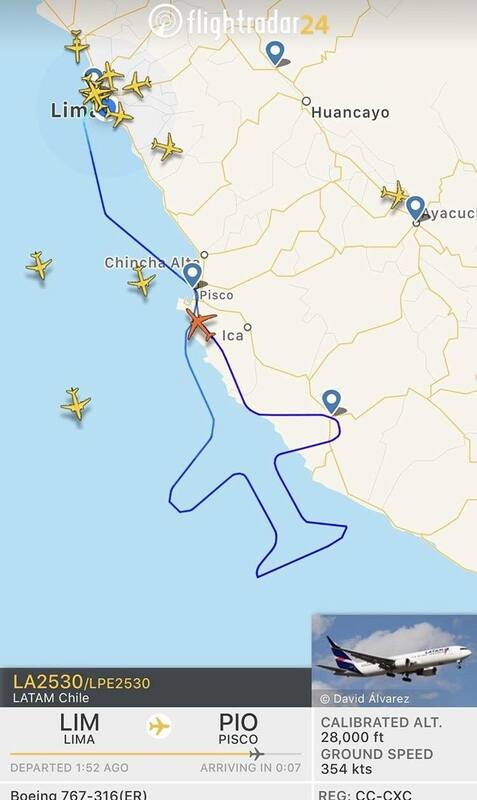 Flight LA2530 took off from Lima at 11:30 local time and headed south of Pisco toward the Pacific Ocean where it drew the figure of an airplane in the sky before returning to the Peruvian capital at 14:33. This was the first drawing of an aircraft made in the skies of South America that could be tracked online at Flightradar24.com. 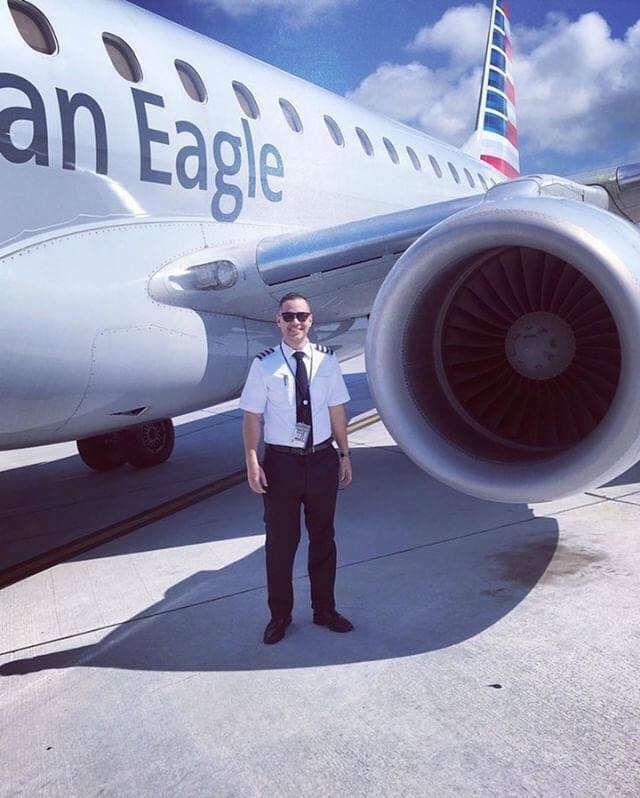 Thank you to Epic graduate Joaquin Guerra Tafur for alerting us to this unique aviation achievement, and congratulations to Diego for his amazing flying and drawing skills! We have heard of skywriting, but never skydrawing! We are not only saying “congratulations” to Luis Amador Gomez but also “farewell.” Luis trained at Epic and was hired here as a CFI where he helped many Epic students achieve their goals. Luis leaves us now to his new career flying for Envoy Air! We wish you nothing but blue skies and soft landings, Luis! 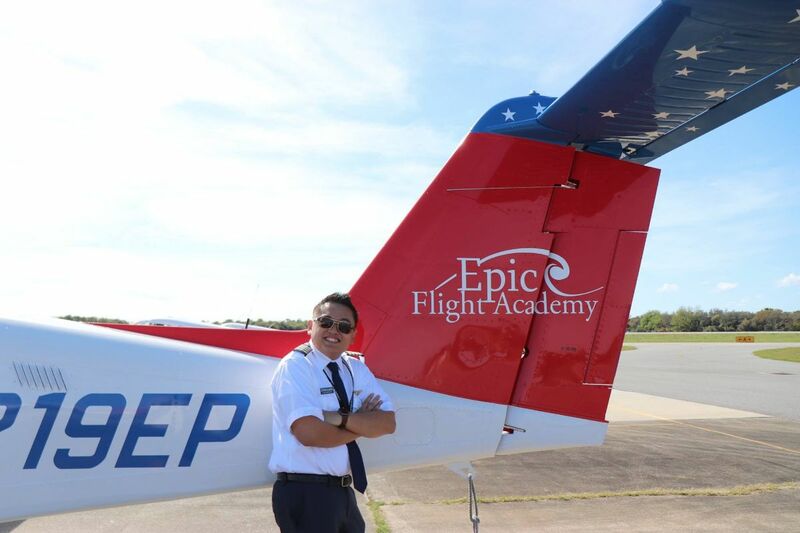 Epic instructor Clifford Villanueva is also saying goodbye and heading to the Envoy Air Cadet Program! 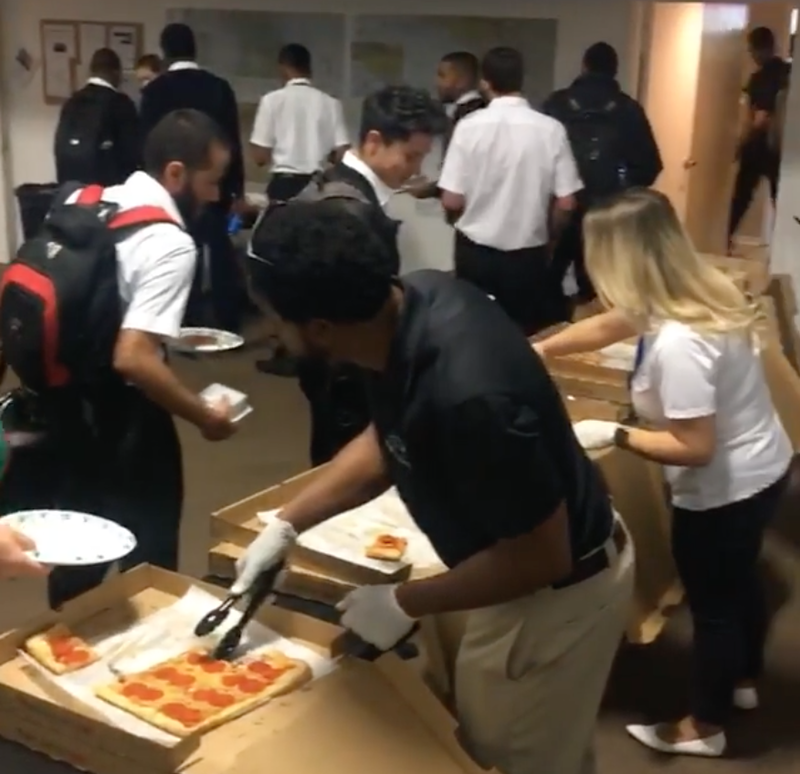 We thank you for your hard work and dedication to our students and remind you that you will always be part of the Epic family as you follow your aviation career path! 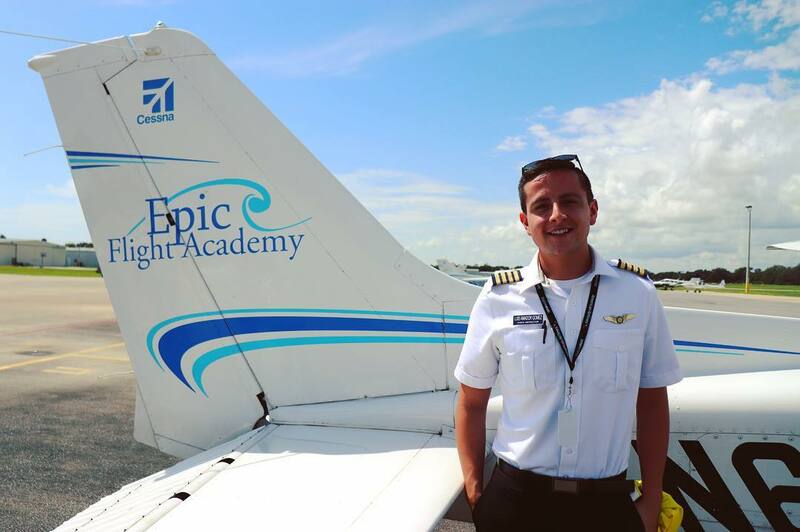 If you’re a graduate of Epic Flight Academy, we want to hear about your professional accomplishments! Please share them with us on social media, or email Katie Dean, Social Media Manager with your career updates. We are proud of your achievements! 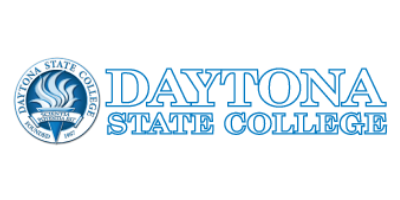 Our next Student & Staff Appreciation Day will be April 18th at noon and feature Egyptian food! You all know Mark Toma who works in Epic’s Library. 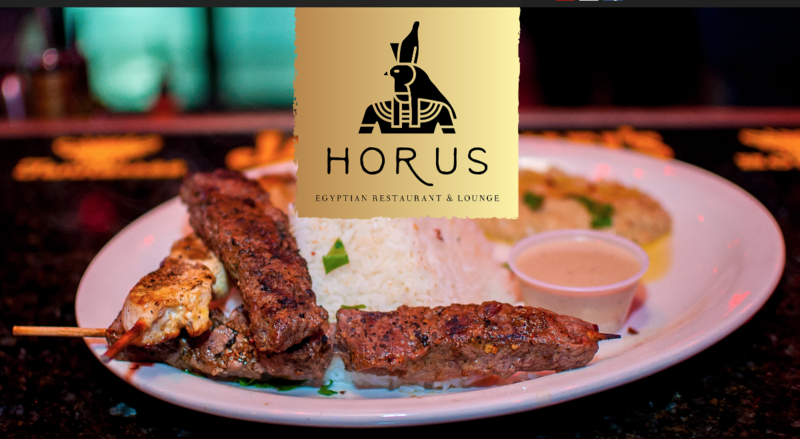 Did you also know that Mark owns an Egyptian restaurant on International Speedway Boulevard called Horus Egyptian Restaurant & Lounge? Mark your calendar, bring your appetite, and enjoy a delicious lunch and the camaraderie of your Epic family! Thank you to the students from Atlantic High School Aerospace Academy for coming to campus and washing some of our planes recently! We appreciate your commitment to the study of aviation and are grateful for your hands-on efforts here at Epic! We are happy to welcome Admission Specialist Rich Trujillo (pronounced “TRUE-HE-O”) to the Epic family. Rich is a former Army Airborne Ranger. You may have seen him cooking in the New Smyrna Beach Chili Cook-Offs on Flagler Avenue. He recently won 1st place and two 3rd place awards for the Chowder fest. Rich’s other hobby is his black 1968 Chevy pick-up. Welcome to Epic, Rich! We’re glad you’re here! 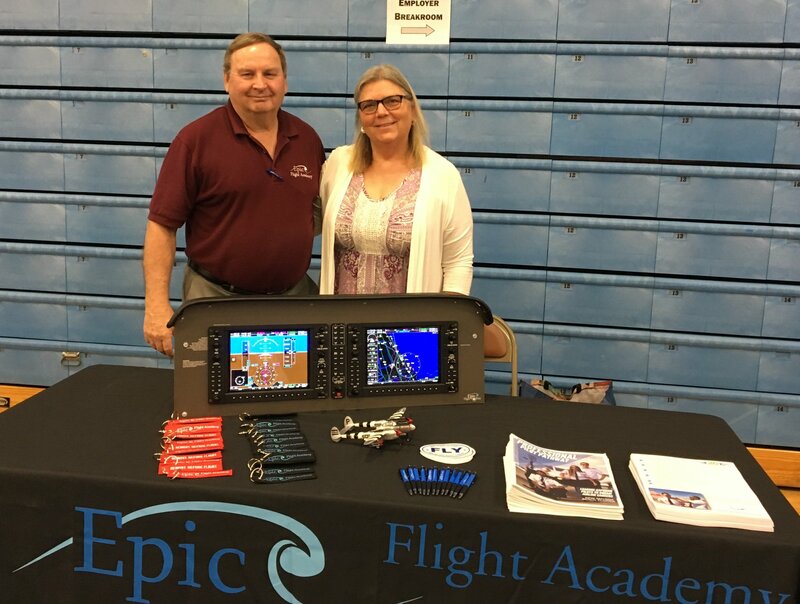 Epic’s Chief Flight Instructor Vic Johnson and Director of Education Cindy Lovell recently represented Epic at the Daytona State College Career Fair where they met with students interested in flight training, aviation careers, and the DSC/EFA partnership that allows students to transfer their flight training hours for college credits. The Cirrus SR22T effortless reached the altitude of 8,500 MSL. The airplane was turbocharged and had a built-in oxygen system for higher altitudes. The maximum altitudes along our 3-month national tour would not exceed 10,000 MSL. It was not likely we would be using the Cirrus oxygen system according to oxygen requirements when flying 12,500 MSL for over 30 minutes as stated in FAR 91.211. We had reached our crossing altitude before approaching the Arizona mountain ridges. My focus was on clearing the ridges with ample altitude if encountering turbulence. We were safely on the leeward side of the ridge when I noticed I had a bad headache that was soon followed by my inability to focus. The once familiar instrument panel was completely foreign. It then occurred to me what these symptoms might suggest. I glanced down at my fingernails for additional indications. My fingernails were not blue, or was I just imagining my nails were not blue? Completely confused, I turned to my relief pilot and asked, “Are my lips blue? My fingernails are not blue, or are they? I have a very bad headache and nothing is making any sense.” Before he responded I said, “Your controls.” I read and studied these symptoms and knew I was experiencing hypoxia. Hypoxia results in a deficiency in the amount of oxygen that reaches the tissues of the body. The symptoms of hypoxia can vary from one person to the next and also depends on how long the person has been experiencing low oxygen. Like I had experienced, symptoms might include a headache and the inability to focus. Other symptoms could include dizziness or fainting, shortness of breath, rapid heart rate, euphoria or sense of well-being, tingling, lack of coordination, tunnel vision, and a bluish tinge to the lips or fingernails. Insufficient oxygen in the tissues of the body is caused by different reasons. Atmospheric pressure reduces with altitude, and with it, the amount of oxygen. At higher altitudes the air is often described as thinner. What this actually describes are fewer oxygen molecules per cubic foot as compared to sea level. Think of the oxygen molecules having more room as altitude increases so the molecules spread out. This type of hypoxia is altitude-related and called Hypoxic Hypoxia. 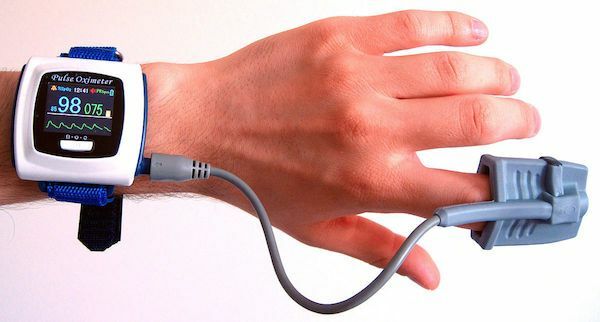 The more commonly known health-related types of hypoxia include: Hypemic Hypoxia where the blood is unable to carry sufficient oxygen (e.g., carbon monoxide poisoning), Stagnant Hypoxia, which is the result of poor circulation, and Histotoxic Hypoxia, which is the inability of cells to use oxygen, often caused by drugs or alcohol. I was fortunate having had my relief pilot and oxygen on board when experiencing hypoxia. Once recognizing the symptoms, I placed the nasal cannula mask on and within a short time, was able to focus. However, my headache lasted for several days. Why did I experience hypoxia at an altitude much less than indicated in FAR 91.211, and why was my relief pilot not affected? The effects of hypoxia vary with individuals. I maintain a healthy lifestyle. I exercise, get plenty of rest, and eat healthy. However, I was at a disadvantage being 20 years older than my safety pilot. After further reflection on this flight, I realized I was also dehydrated. I then and now always drink plenty of water, fly shorter durations, use a pulse oximeter to test my oxygen levels during flights at altitudes, and use supplemental oxygen above 5,000 feet. Training and preparedness can reduce the likelihood of experiencing hypoxia. Not all pilots recognize the signs and symptoms of this largely preventable condition, so educating yourself about its causes, symptoms, effects, and responses can save your life. 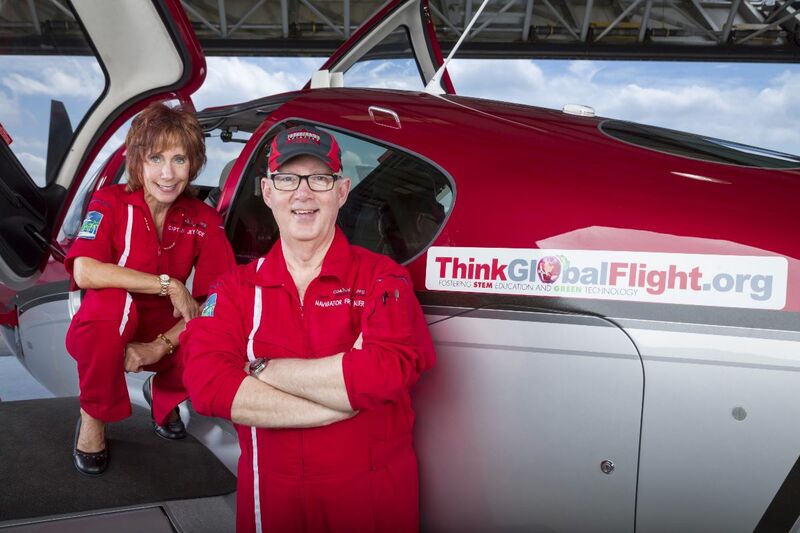 Photos – from top: Captain Judy Rice with Navigator Fred and Cirrus SR22T; Judy and Fred on National Tour visiting with Michigan State University aeronautic students, and pulse oximeter. Congratulations to all of our spectacular Epic Flight Academy students who passed checkrides on their first attempt in March! 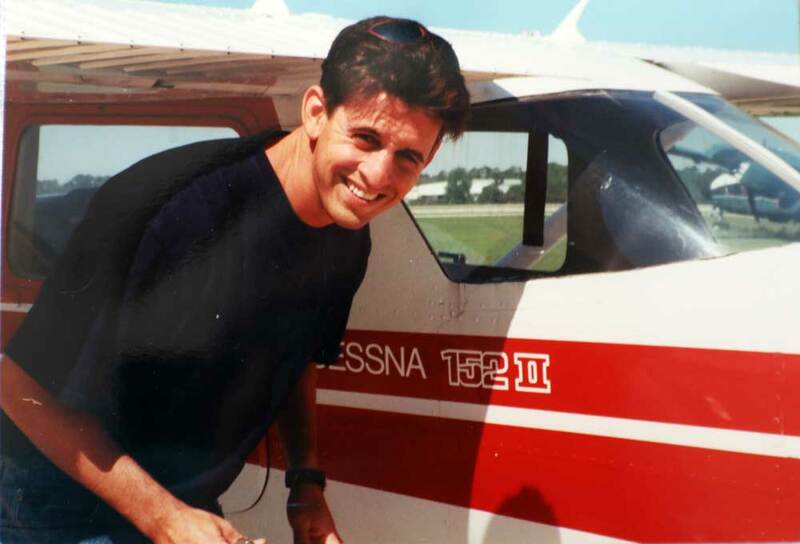 Founder and CEO Danny Perna launched his flight school with a dream and this Cessna 152. His motto for Epic was “Safety First,” and that remains unchanged. We are celebrating 20 YEARS in the flight school business and will share a photo each month showing Epic down through the years. We are grateful to the thousands of pilots who have trusted us with their aviation education and are so proud of your many successes! We invite you to celebrate our 20th anniversary with us throughout 2019! Check it out to see if this is the airline pilot program for you! Do you have questions? We have answers! 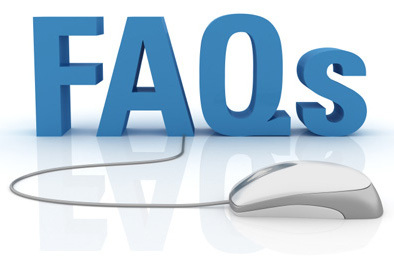 Check out the FREQUENTLY ASKED QUESTIONS on our website! Our mission: To provide an unparalleled pathway to achieving professional pilot dreams through innovative flight education and technologically-advanced aviation resources. Proud Member of the Southeast Volusia Chamber of Commerce since 2017.